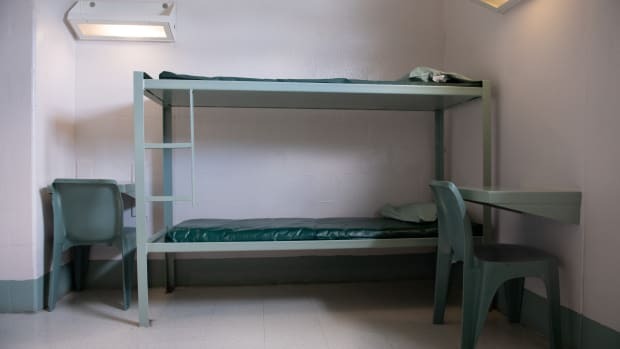 A bunk bed and desks inside a cell are seen at the Caroline Detention Facility in Bowling Green, Virginia, on August 13th, 2018. 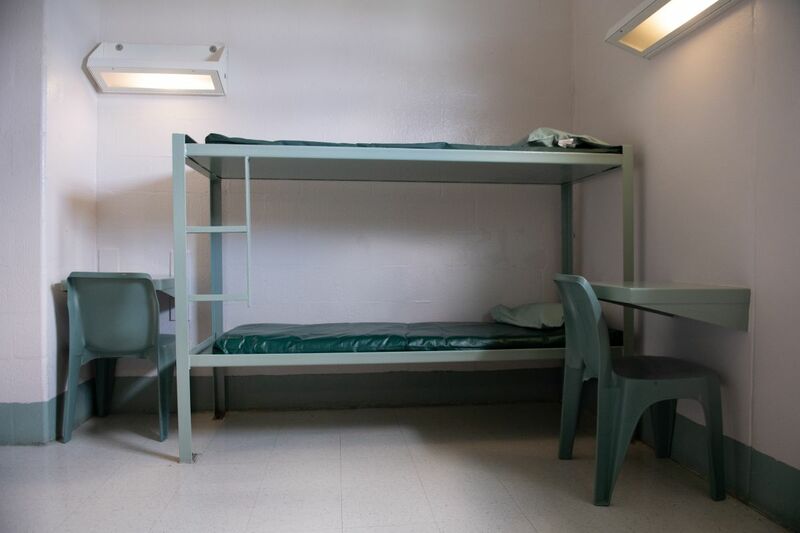 A former regional jail, the facility has been contracted by the U.S. Department of Homeland Security Immigration and Customs Enforcement to house undocumented adult immigrant detainees for violations of immigration laws. While most of the attention directed toward Attorney General William Barr has to do with the imminent release of the Mueller report, Barr released his first major interpretation of immigration law on Tuesday. His decision blocks thousands of detained asylum seekers from requesting release on bond if they were first apprehended crossing the border. According to immigration policy experts, the new decision could vastly expand the number of immigrants subject to detention in the United States. 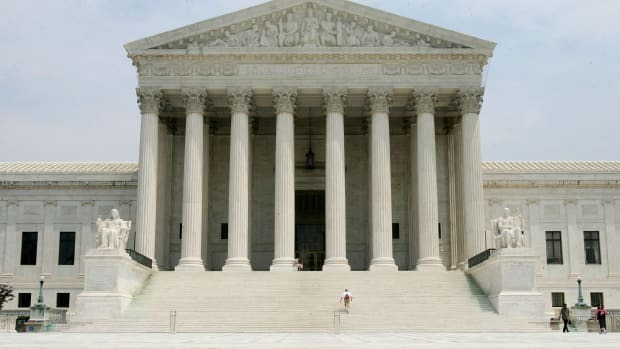 Because the nation&apos;s immigration system is housed within the Department of Justice and not the judicial branch, Barr, as head of the department, can operate as what some call a "one-man Supreme Court." Barr&apos;s broad latitude to interpret immigration law has allowed him to decide on what&apos;s called "Matter of M-S-," an aspect of the law concerning people who request asylum after having already been detained by U.S. immigration authorities. Even when authorities arrest someone crossing the border illegally, that person still has a right to request asylum in the U.S. In such a scenario, officials will conduct what&apos;s called a "credible fear" interview to see if the person detained might indeed be fleeing for their life, at which point they&apos;re taken out of deportation proceedings and put into asylum proceedings. 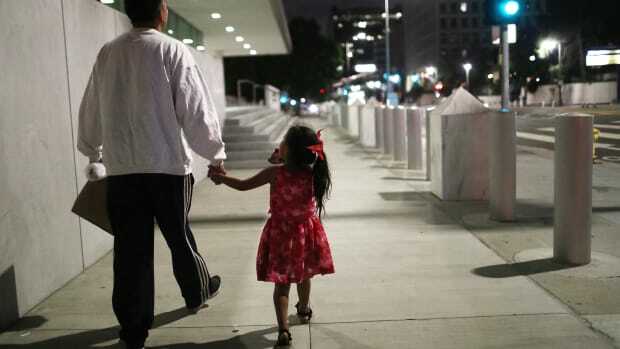 Up until Barr&apos;s decision, judges could make the decision to grant release on bond to these asylum seekers—after all, a transfer to the asylum process implies that these people are not illegal immigrants, but rather refugees seeking asylum in the U.S.
Barr&apos;s decision takes away that power from immigration judges. 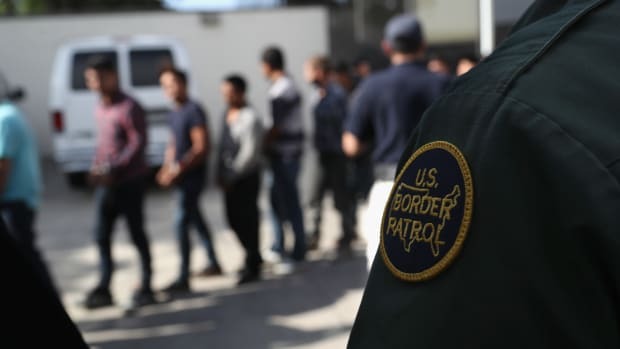 Now, only the Department of Homeland Security (which houses Customs and Border Protection and Immigration and Customs Enforcement) will get to decide which detained asylum seekers, if any, will get paroled as they await the outcome of their asylum cases. When asked if Barr&apos;s decision would expand the number of people the government could try to keep in detention, Aaron Reichlin-Melnick, a policy analyst for the American Immigration Council, said "if it goes into effect, yes," adding "hugely so." But Reichlin-Melnick noted that ICE does not actually have the capacity to increase the number of people detained. In fact, ICE already detains thousands more people than Congress has authorized the agency to keep behind bars. From 2012 to 2017, ICE was funded for an [average daily population] of 34,000. 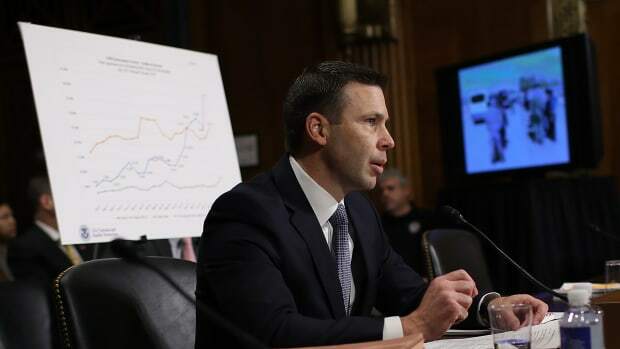 But for the last two years, ICE has come back to Congress with a surprise: It had dramatically overspent its budget for detention. ICE was detaining significantly more people—upwards of 50,000. In May of 2018, congressional Republicans increased the funding for ICE to detain an average daily population of 40,520, the highest number in history. Yet ICE still detained more people than that, upwards of over 50,000 a day. During the shutdown battle earlier this year, the Trump administration pushed the newly Democratic-controlled House of Representatives to authorize an even higher "bed cap" for ICE. Democrats refused, keeping the cap at 40,520. In his decision, Barr wrote that the new interpretation of the law would not go into effect for 90 days, in order to give the DHS time to "conduct the necessary operational planning for additional detention and parole decisions." 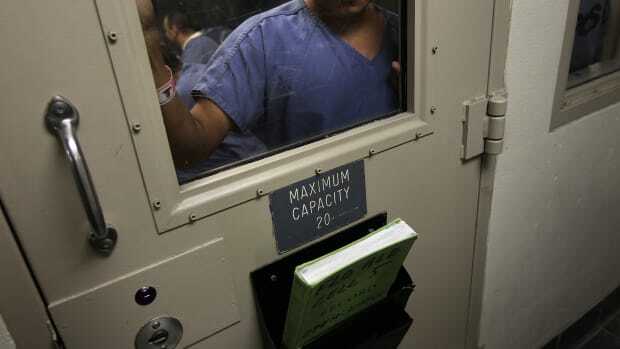 Since preparing for additional detention would require ICE to even further overshoot its detention budget, it seems likely that the Trump administration will either renew its request to Congress for more detention funding, or otherwise attempt to skirt the de facto bed cap.